"Hoe lang leeft een pinguïn?" "Hoe oud wordt hij?" Het is niet eenvoudig om dergelijke vragen te beantwoorden. Onderzoek ernaar is heel tijds- en arbeidsintensief: men moet duizenden pinguïns controleren. Ze moeten geringd en gevolgd worden gedurende vele jaren. Daar vele kuikens reeds tijdens hun eerste levensjaar overlijden, blijft het een gok om de gemiddelde leeftijd van een pinguïn te bepalen. Eerst en vooral wil ik Barry Benefield, pingofiel [zijn woord voor penguin lover], woonachtig in Oklahoma, advocaat voor armen en indianen en lid van de Yahoo club Penguin Paradise bedanken, die me zijn resultaten op deze vraag toestuurde. Vooraleer enkele specifieke waarden te geven, zou ik enkele algemene opmerkingen willen maken. Daar ik hier werk met citaten, die beschermd zijn door auteursrecht, is het grootste deel van deze tekst in het Engels. "The average lifespan of penguins is probably 15 to 20 years. Some individuals live considerably longer (Sparks and Soper, 1987)." "Penguins in captivity will live longer than penguins in the wild since they are fed nutrionally balanced meals and do not have to contend with predators. Generally, penguins will live from 15 to 20 years. 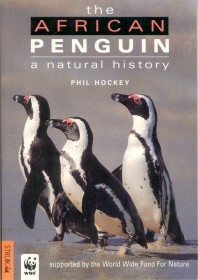 A female Humboldt penguin in my study group (in captivity) lived to 17 years." "How long do penguins live? 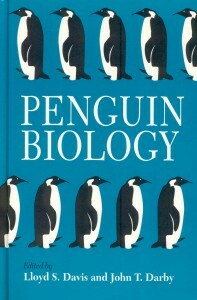 In the wild there haven't been any reliable long term studies of individual penguins that can tell how long they live. The only such study was carried out in the 1940's and 50's by Lance Richdale in New Zealand. He monitored a population of Yellow-eyed penguins over a 15 year period. Certainly there were some chicks that he saw hatch that survived through most of the study; so it is reasonable to put the lifespan of Yellow-eyed penguins at 15 years or more. The only other information comes from studies on captive birds. Zoos and aquaria often know how old their birds are when they die. However, the common causes of death in captivity (Avian Malaria and Aspergillosis) are not particularly prevalent in the wild so the experiences with captive birds are probably under-estimates. On the other hand the captive birds will not suffer starvation if fish stocks go down suddenly and they have no predators (such as leopard seals and killer whales) to kill them. Anyway, zoos reckon birds live 10 to 20 years depending on species, with the larger species generally being longer lived." "The oldest known penguins are about 20 years old. Most penguins don't get that old however. Less than half of all chicks live through their first year of life and about 90% of the adult penguins live from one year to the next. 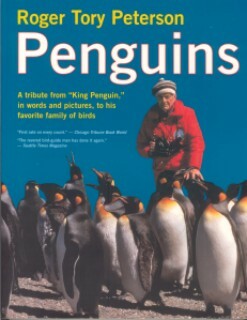 The average age of a penguin that shows up at Palmer to breed is probably around 6 or 7 years old." In de tabbladen wil ik proberen om voor zoveel mogelijk soorten de gemiddelde leeftijd te geven. Elke tabel vermeld ook de bron, die een link vormt met het volledige citaat onderaan. Deze citaten zijn grotendeels in het Engels, om zo correct mogelijk te blijven. Bovendien zijn deze beschermd door auteursrechten, en mag ik ze enkel gebruiken met exacte woordweergave en bronvermelding. Keizerspinguïn 20 jaar Penguins around the world NASA: oudste was 50 jaar. "Emperor penguins can mate when they are 4 years old and can live to be 20 years of age." "If a penguin can survive infancy and its first years of life, it has a	pretty good chance of living a fairly long life. Many penguin biologists have banded thousands and thousands of penguins and then followed which ones come to the colonies year after year. This is how we can guess at the average age of a penguin. The oldest known Adelie penguin living in the wild was 20 years old, and the big Emperor Penguins might live to as long as 50 years. If an Adelie penguins begins to breed early, say at 3 or 4 years of age, it is less likely to live to be 15 or 20 years old than if it waits until it is 7 or 8 years old to breed for the first time." Magellanic: 7 to 16 years." For the Adelie penguin Ainley and de Master (1980) analyzed recoveries from more than 10000 chicks banded over 8 years at Ross Island, Antarctica. They reported that, for breeding birds, mortality decreased from 3 or 4 until 11 years or older. Among mature birds there was some nonbreeding, especially among males, and for those nonbreeders mortality was lower than for breeders, the difference being attributed to reduced risk of exposure to predation by leopard seals lurking at the seaward edge of the colony. Ainley et al. (1983) reanalyzed much of the same data and apparently repudiated many of the earlier conclusions regarding changes in mortality with age. While accepting that breeding imposes an added risk to survival, their definitive model assumes annual mortality is constant at 10,6 % from age 2 on. For the royal penguin, Carrick (1972) reported that 5- to 11-year old breeders experienced an annual mortality of 20 % compared with 17 % for the nonbreeders. " "Gentoo: Their average lifespan is from 15 to 20 years." 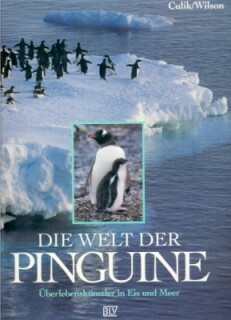 "...Eselspinguin. In der freie Natur werden die Tiere ungefähr 15 Jahre alt." Translated: "...Gentoo. In the wild these animals	reach an age of about 15 years." "African Lifespan: average 10-11 years, maximum 24 years." "African penguins live an average of 10 to 11 years but sometimes reach as much as 24 years." "Humboldt: Life Span Approximately 20 years in the wild; up to 30 years at zoos." "Humboldt : How long? The lifespan of penguins is 12 years	(up to 20 years in captivity). " "Galapagos : I know of one wild bird that was more than 10 years of age. He was banded in the 1960's and I found him 11 years later." "The average lifespan of a Rockhopper Penguin is 10 years." "Blue penguins usually breed for the first time at 2-3 years of age. Long term partnerships are the norm, but divorce is not uncommon. There is a high rate of juvenile mortality, but individuals can reach up to 25 years of age." "Fairy penguins live on average for 7 years, and some retain the same mate for life." "The average age a Little Penguin lives is said to be 7 years. However we have one banded Little Penguin in our colony that is now 25 years old." "First breeding occurs at 3-4 years of age and long term partnerships are formed. Yellow-eyed penguins may live for up to 24 years."